Saatchi Art’s curators have worked with artists from around the world to hand-pick every artwork we offer on Limited in order to provide you with an unmatched selection of limited edition prints. We are proud to offer "I Always Knew" by Cindy Press, which is available exclusively on Limited. Artworks in a limited edition have a set number of prints available for each size offered. For the 10x10 size edition, "I Always Knew" comes in a limited edition of only 100 prints. Once all 100 of the prints in this edition size have sold out, there will be no other prints of "I Always Knew" available in the size of 10 inches high by 10 inches wide. Limited edition prints of this artwork may be available in other sizes. 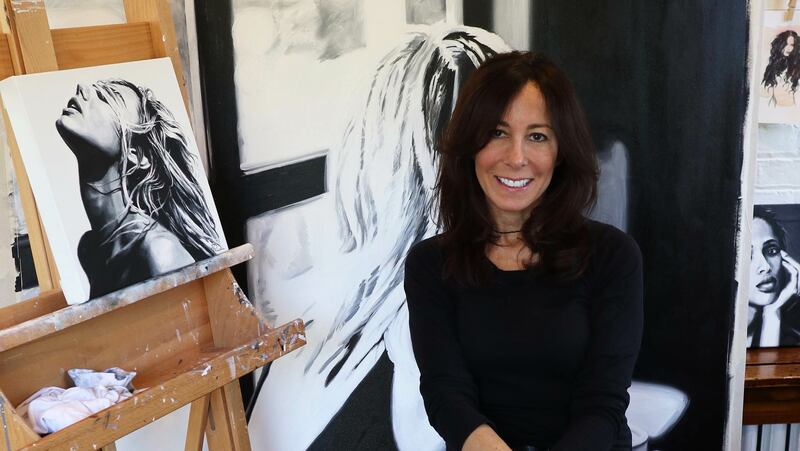 Cindy Press is interested in the psychological complexity behind the striking, beautiful women she paints. She is drawn to images of edgy and empowered women culled from fashion magazines and photos, and focuses on the meaning behind their expressions and poses.